Celebrate the day you united to become one with our Vase of Life – Happy Anniversary! 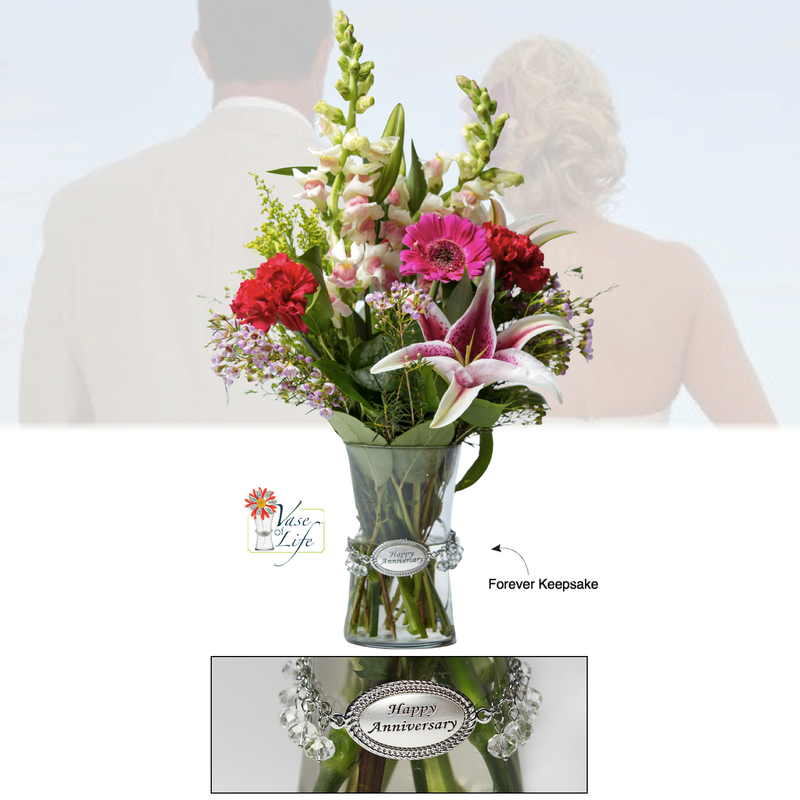 This designer’s choice selects the freshest flowers to share your Anniversary celebrations! 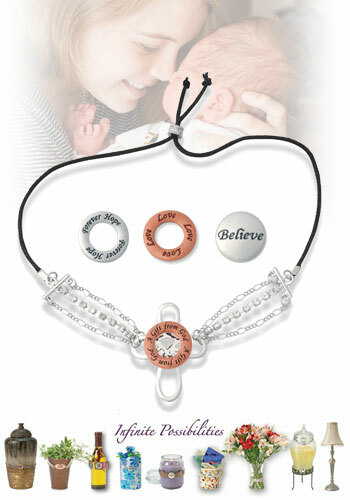 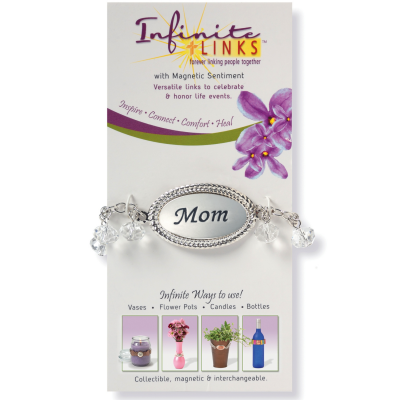 Your flowers will be wrapped with an extra touch of love, with our Infinite Links Forever Keepsake. After the flowers fade away, the links can be used on many home decor items. Simply adjust to use on unity candles, pottery, bottles, vases, plants, picture frames, and more! 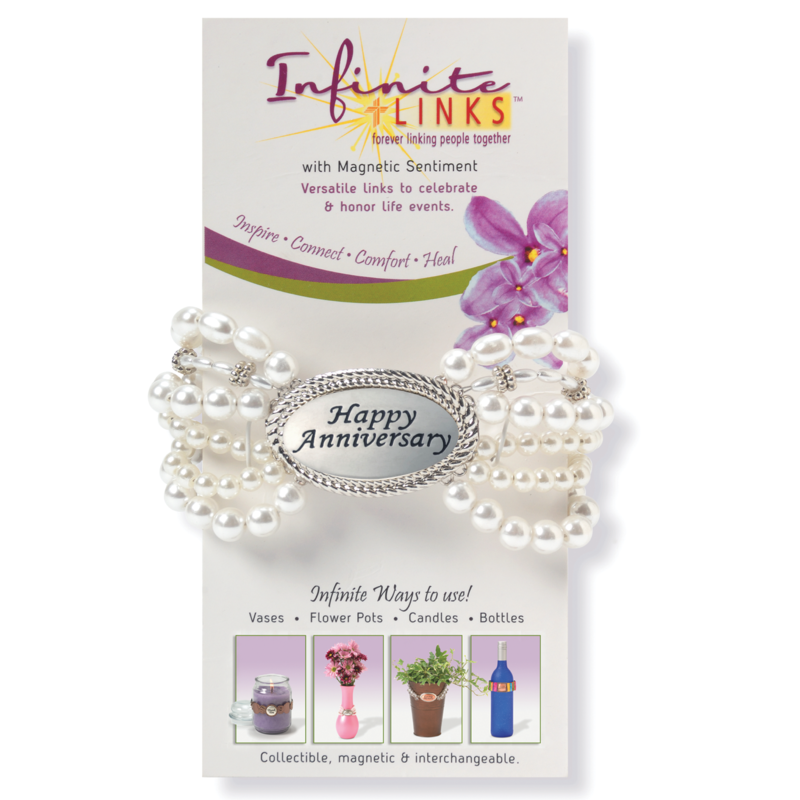 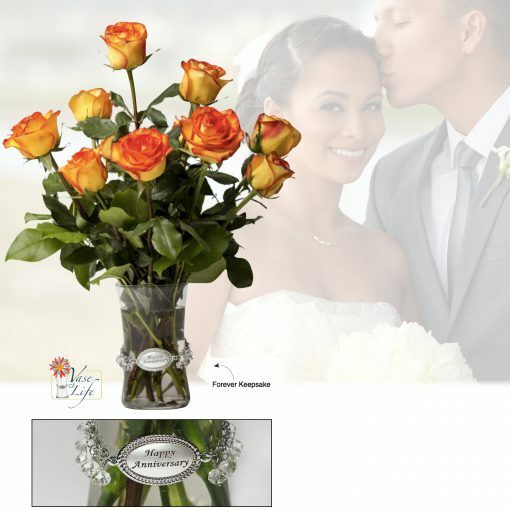 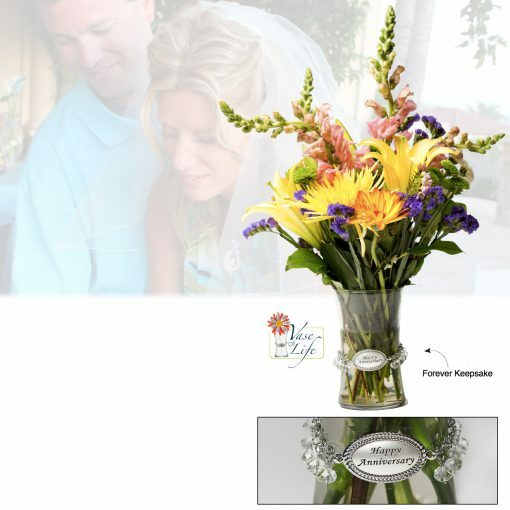 Your selection comes with a beautiful bouquet of flowers in our 7-inch Sweetheart vase, an Infinite Dangle Link, and the magnetic sentiment, Happy Anniversary! 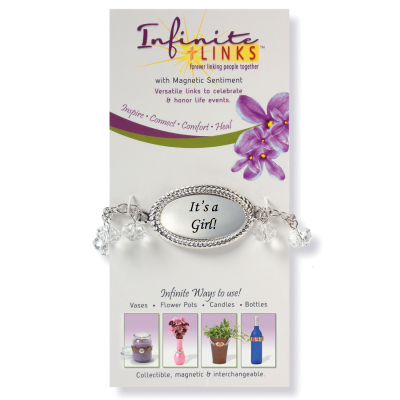 Dangle Link – It’s a Girl!